It's easy to forget that with a fighting game out soon, a 3DS RPG on the way, and Persona 5 after that, there's one more Persona game on the release schedule. 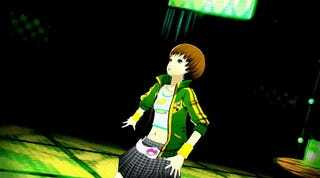 This is Persona 4: Dancing All Night's TGS trailer, and if you're wondering why it's been a little quiet lately (compared to the other Persona games), it's because the game wasn't exactly coming together. So Persona 4 Arena Ultimax (the fighting game) director Kazuhisa Wada has taken over. The game's due out in the West sometime in 2015.